5150 III 100W Head, Tube Guitar Amp Head from EVH in the 5150 III series. EVH introduces the new EVH 5150 III 50-watt Head and its matching EVH 5150 III 1x12 Straight and EVH 5150 III 2x12 Cabinets, developed to the specifications of guitarist Eddie Van Halen. The EVH 5150 III 50-watt head is a smaller-sized version of its big brother, the mighty 5150 III head, with some of the same features. It is suited for players who want "arena volume, tone and performance in a compact package," according to EVH. The 50-watt head is a three-channel amplifier with channels one and two sharing EQ. Other features include the ability to accommodate MIDI footswitching, selectable impedance dual parallel speaker output jacks, effects loop, headphone jack, line out and black hardware. The EVH 5150 III 50-Watt head is designed to work with the current EVH 4X12 and the EVH 5150 III 1x12 Straight and EVH 5150 III 2x12 cabinets. The EVH 5150 III 2X12 cabinet features a head-mounting mechanism and tilt-bag legs. Both cabinets are rated at 16 ohms and are loaded with 30-watt Celestion Heritage speakers. 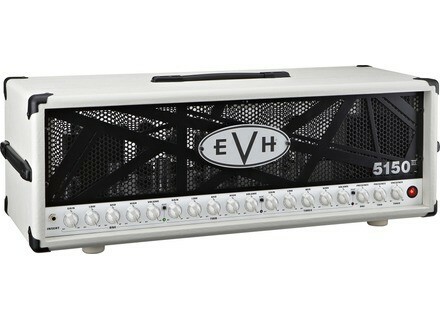 The EVH 5150 III 50-Watt head and cabinets are available in black and ivory. Visit www.evhgear.com for further information. Squier J Mascis & Joe Trohman Signature Models Squier introduces two new artist signature models, the J Mascis Jazzmaster and the Joe Trohman Telecaster guitars. New Akai Custom Shop Pedals Akai Professional announces that its new Analog Custom Shop line of guitar pedals is now shipping to retailers. Lacuna Soundhole Inserts Lacuna Soundhole Inserts are designed to allow guitarists to control the amount of feedback reduction they desire and enhance the look of their instrument.